Guys today I am here with someone who I consider one of the best half guard players in the world, Lucas Leite. 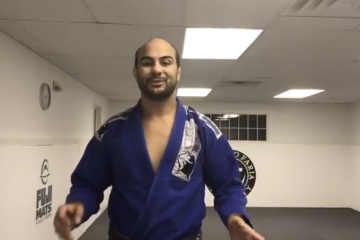 Lucas has had success at the highest levels with his version of the half guard that he calls the “coyote half.” This is a great way to play the half guard with a lot of control. I love to play half guard and it is my favorite position. It is great to see different variations on the same position. Let’s see the video below with Lucas, Ossssss!